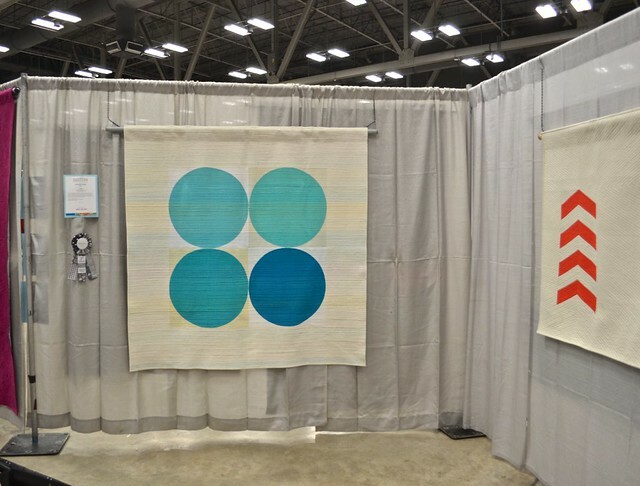 I have the best time at QuiltCon 2015, and while I decompress just a bit, I thought I would start telling you about it by showing off my quilts from the show. There is Breathe. She won first place in the Minimalist Design Category. Thank you again to American Made Brand who sponsored this category and its prize. 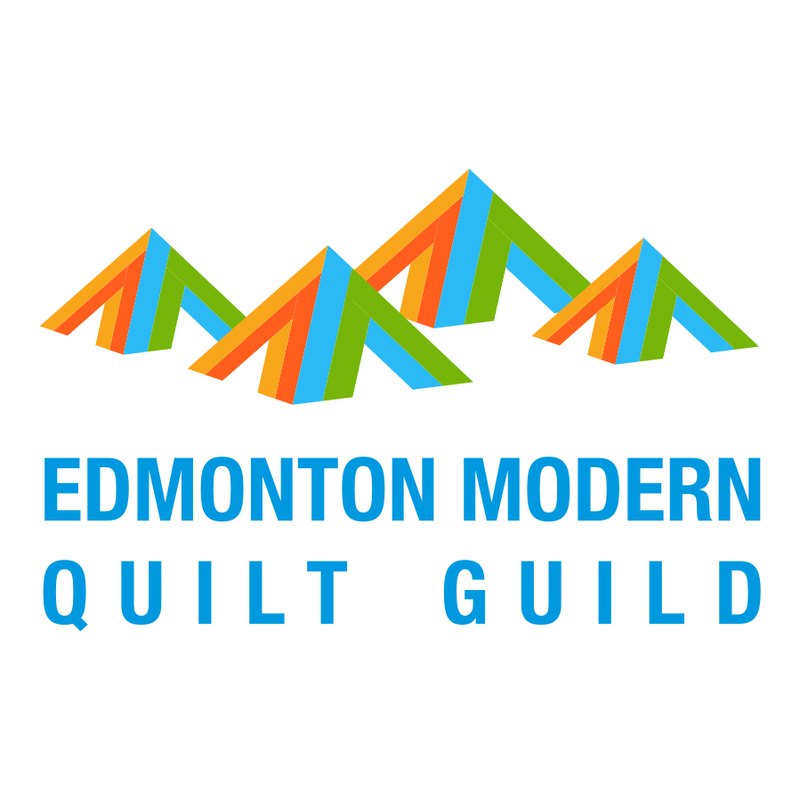 You can see pictures of all the winning quilts on the Modern Quilt Guild Blog here. 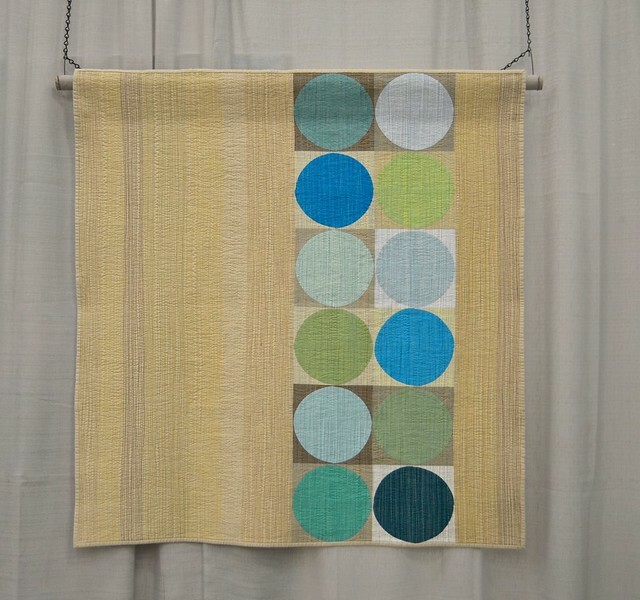 Breathe was also selected to be part of the MQG travelling quilt show for this year, another unexpected honour. I truly did not expect to win any ribbons at this show. Every single quilt was a winner as far as I was concerned and I was just thrilled to participate. I am so honoured and proud that Breathe won this ribbon. The beautiful ribbons were hand made by Elizabeth Hartman from Oh, Fransson! I confess to not taking that many photos at the show this year - I was just so busy looking at things and speaking with people. 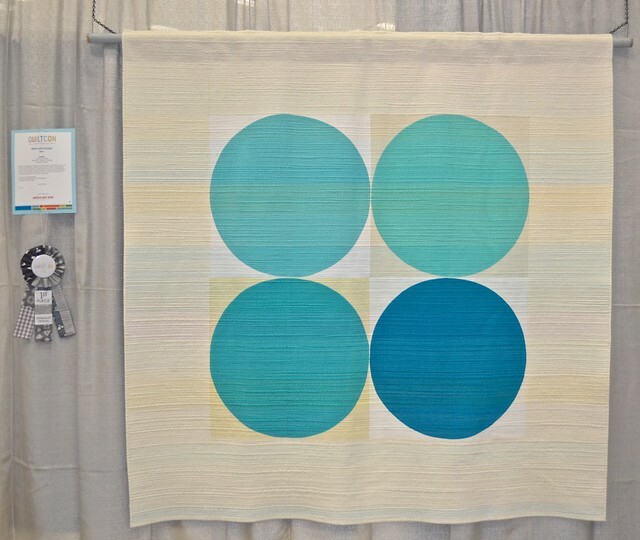 Here is a further away shot of Breathe, and to the right is my friend Nicole's (from Mama Love Quilts) stunning quilt Ascend which won second place in the same category. Peace looked lovely hanging in the show. 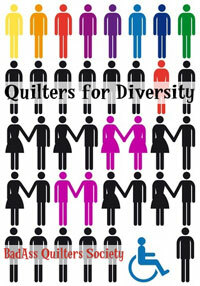 The MQG made the decisions about what category each quilt would show in, and they put Peace in the Piecing Category. And Cycles 2 was there too, after having been to the Houston International Quilt Festival in the MQG Exhibit. Cycles 2 was shown in the Use of Negative Space Category. That's all I have for today, I will share more over the next few days. It was the best time, and I am already planning to attend next year too. It was so wonderful to see your quilts hanging at QuiltCon, and I'm bummed I didn't get to meet you! I am in the same boat, having taken a pathetically tiny number of photos. I was in such a whirlwind meeting and talking and looking and perma-grinning all over the place that I just didn't stop to photograph much. 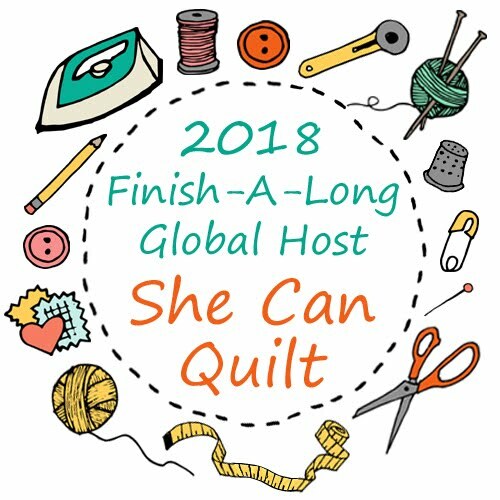 It's so unlike me, but I'm enjoying finding all of the blogs with QuiltCon updates and reflections, especially ones that actually include photographs! Congratulations! Your work is beautiful. As a first timer, I felt like I was "drinking at a fire hose" of inspiration. Wow. I told you previously how enthusiastic I am of your Breathe. 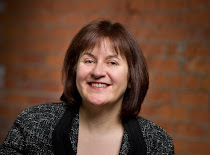 Congratulations Leanne, that ribbon is well deserved ! I am so happy for you. This award is very encouraging as your creativity is always renewed. I wish you the best. Saw 'Breathe' up close and personal on Wednesday as my girlfriend and I were steaming it! The quilt was amazing! Then as 'white glove' person on Saturday I was able to get another up close look. Wish we could have met....next time! Congrats! I loved seeing your quilts in person! they are so gorgeous! How very, very, exciting for you to have gotten a 1st prize. 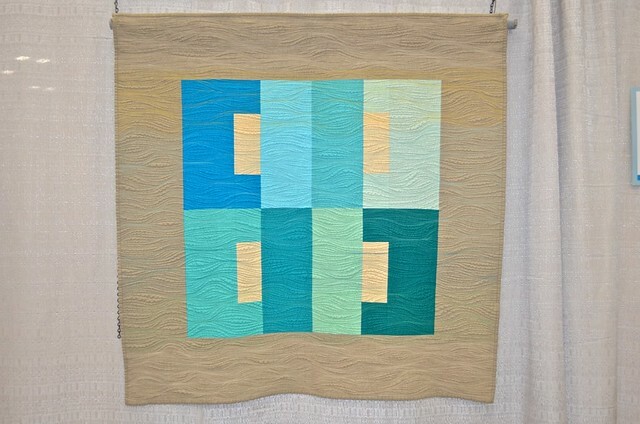 I have loved this quilt from the very first time you showed it on your blog. Well done! PS. Wish all these quilts were doing a tour Down Under, so we could view them 'in the flesh'. Hi!!!! Congrats!!!!! All of your quilts are beautiful!!!!! So fun that Breathe will get to travel!!!!! Can't wait to see what all is in store for you. Congrats!!!!! I am SO happy for you. 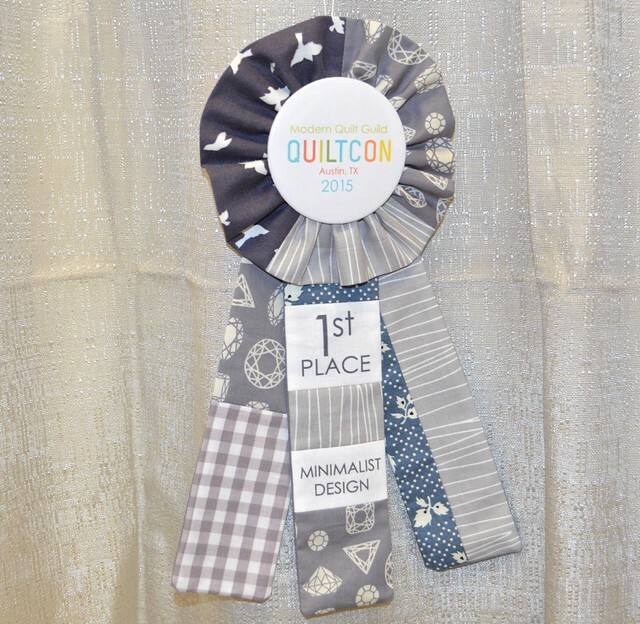 Your quilts are gorgeous, so I'm delighted to see a ribbon next to any one of them! Why a grey/black ribbon, though? Not blue? I enjoyed seeing all the inspirational work created by yourself and all the other artists who participated in all the QuiltCon categories. It certainly was amazing to see the works up close and all of the intricate and detailed quilting. Well done! She absolutely deserves first place. So happy for you and your win plus having the honor of three quilts in the show. I just loved seeing them in person AND meeting you in person too. Beautiful, every one! I especially loved seeing your quilting up close and personal! Congratulations, Leanne! Your quilts are just gorgeous.